Rare building block or development site in Sawtell. Position Position. Zoned R1 residential, this land parcel presents an opportunity for you to build your dream home or your perhaps your perfect holiday home to enjoy the summer holidays and generate fond memories. 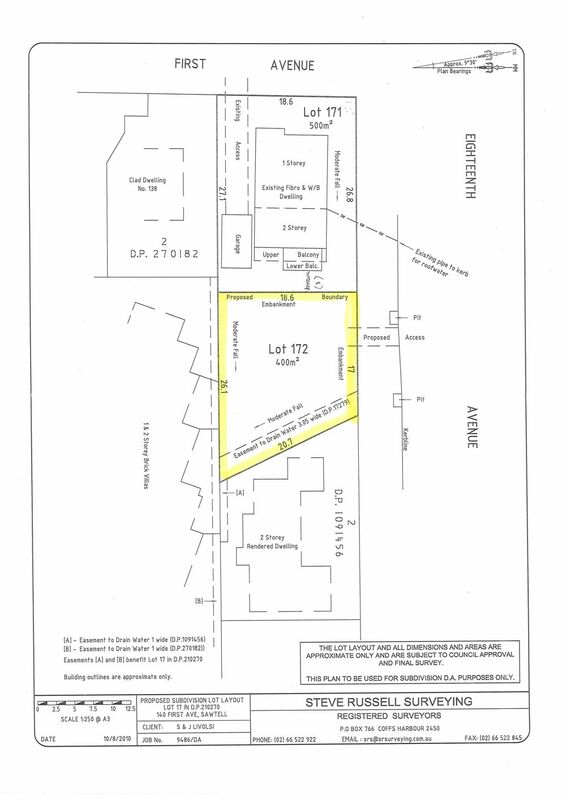 Attention builders and developers, this proposed 400 m2 lot adjoins two substantial homes on similar sized lots and each of these adjoining homes would have a market value exceeding $1.4 million.This site is a fantastic investment proposition. The R1 zoning allows for two dwellings, subject to council approval, so you could look to build two quality 3 bedroom town houses. There is demand from retirees looking for a well designed, new 3 bedroom town house close to the beach. Call agent Barry France to discuss the development possibilities of this prime parcel of real estate.